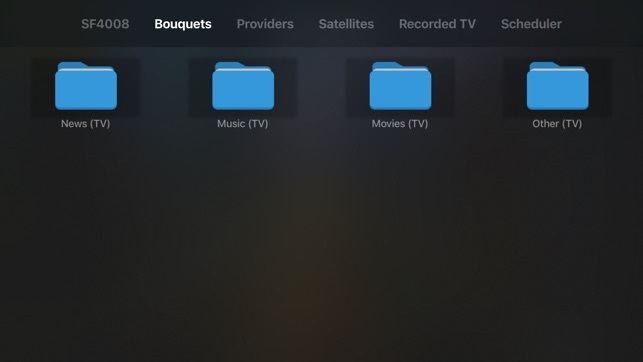 To start watching TV streams or recordings stored on your STB, just enter the STB IP address or hostname in the settings menu after the App first launch on Apple TV (message will be shown on your TV screen). - Customise the composition of the main menu (top). - Customise the view of the channel list (grid or list). - To make navigation on packages (bouquets) / providers / satellites. 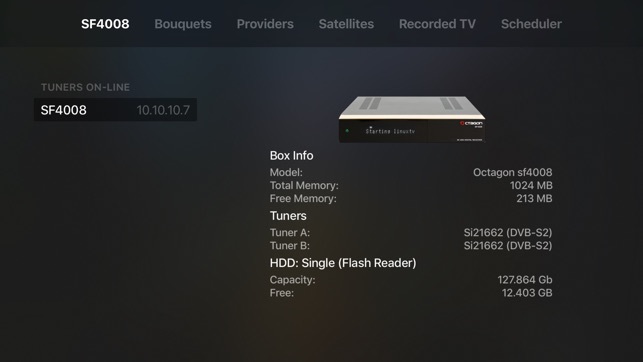 - Display the list of available boxes with the installed Live XS firmware on the network and switch to them one-touch. - View the program guide (EPG) for the selected channel for a few days. - Add a record for the current transfer and schedule record tasks using the program guide. 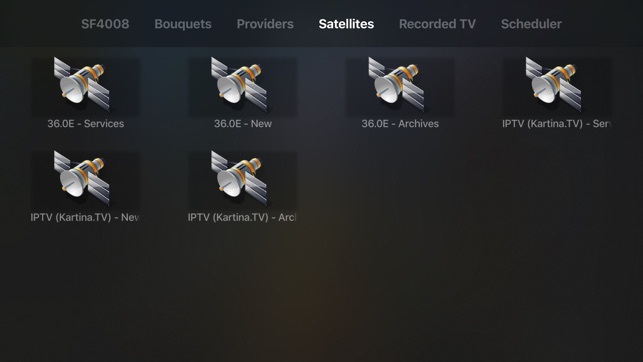 - View / transcode to hls format / delete recorded TV shows. - View / delete / disable tasks in the scheduler list. - View additional information about the program being played, including the channel logo, the program name, the genre, the start and end time, the progressor and the detailed description. 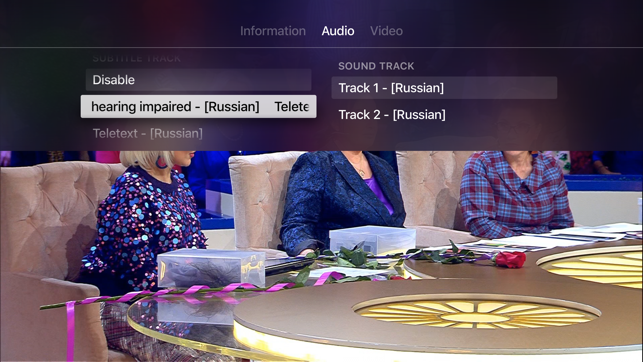 - Select the audio track. 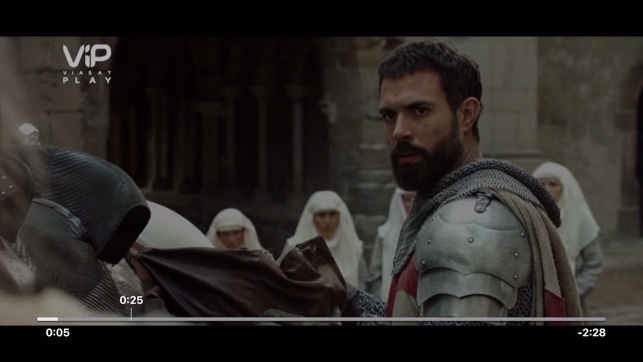 - Select subtitles (if available). - Select the deinterlacing mode. 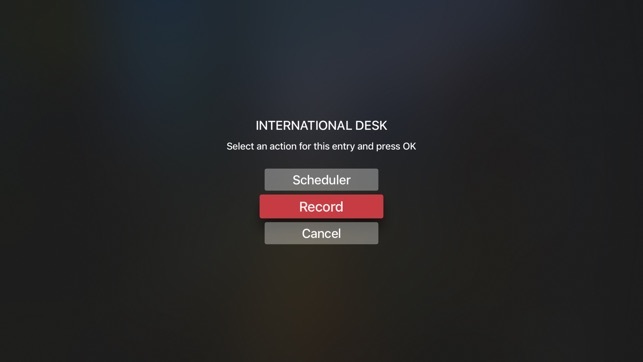 - When playing back transcoded recordings, you can use fast forward playback, select the point to continue watching, and scroll (jump) backward for 10/60 seconds. 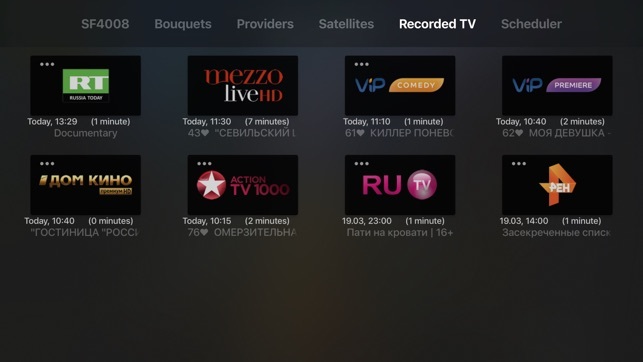 For the normal functioning of the LiveXS application on Apple TV, you need to install the Live XS firmware on your STB and in the software center the plug-in for Apple TV support. 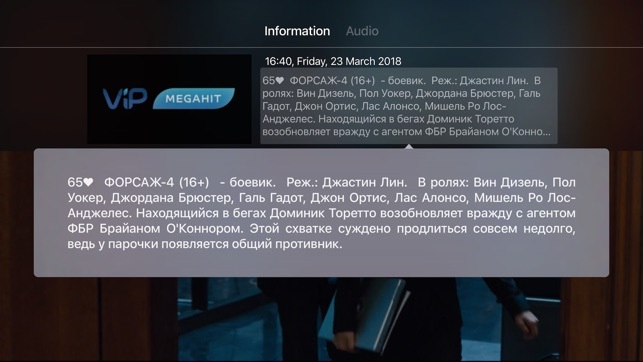 Оn the firmware of other commands (OpenPLi, OpenATV, etc.) you need to install the LiveXS and OpenWebif plugins. All the required plug-ins can be found on the technical support page. 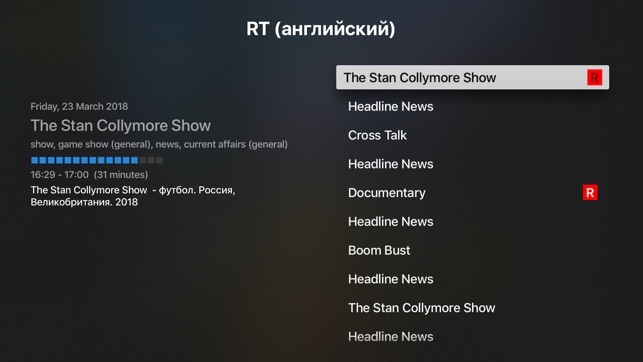 Added support for new version of tvOS. 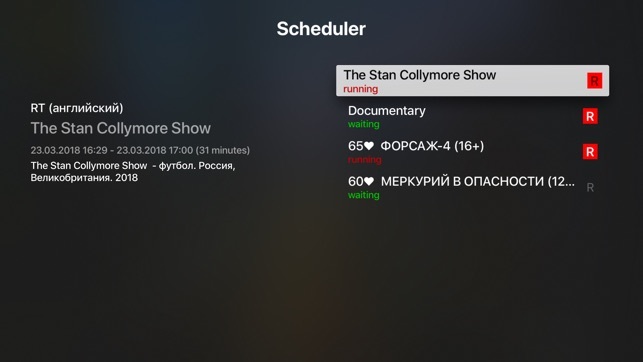 Added the ability to select subtitles and deinterlacing mode via the information panel in the content viewing mode.